The Utility of the Net . . . Rarely do I fish with a net. 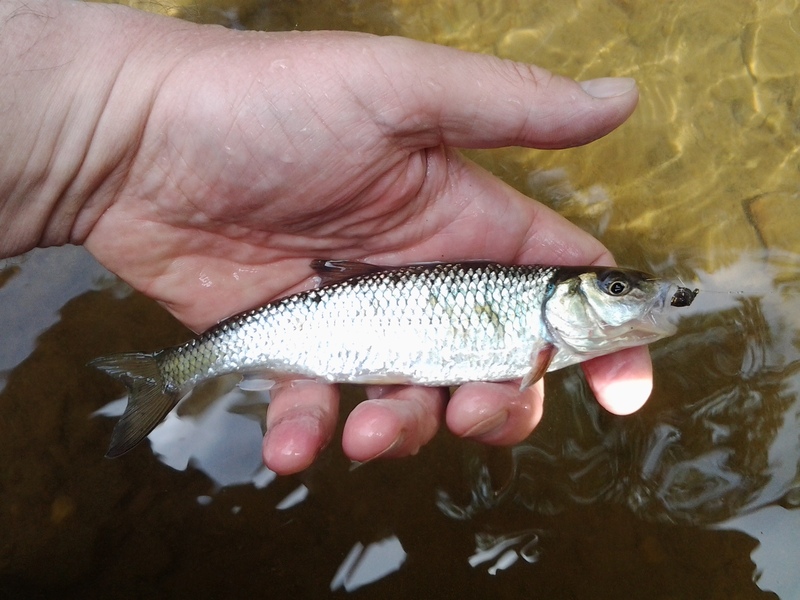 There is no conscious reason; I simply find myself most often angling for fish small and easy enough to handle manually. 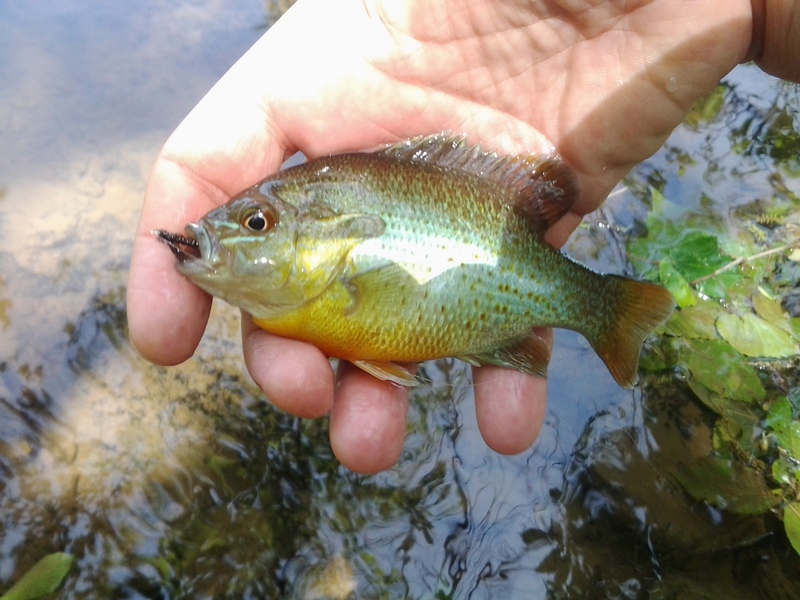 Panfish are also handfish. While sorting through a large batch of photos from the previous few months, I found the image of the netted trout above, and the story behind this moment returned to me. Memorial Day weekend gave the time and French Creek in southeastern Pennsylvania provided the setting. The long weekend allowed my wife and me the ever more rare opportunity to slip out of New York City under the demanding noses of our respective work lives. 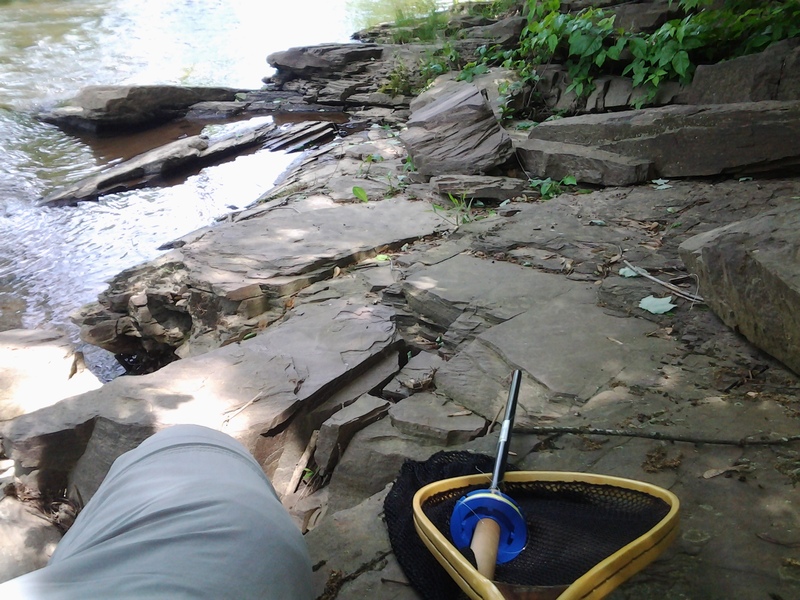 The in-laws provided family, food, and for me, fly fishing, tenkara style. Maryann wanted to sleep in on the morning of Memorial Day, but she did wake long enough to permit me to take along her L.L. Bean Pleasant River trout net. I sensed I might need it, as French Creek, like all freestone flows, holds more physical challenges to the landing of fish than a stillwater pond, and an encounter with trout, a fish much trickier to calm than black bass, would be a possibility. Wet wading eventually brought me several hundred yards downstream to the plane tree root jams I had fished the previous Christmas Eve. I had by this time landed a few silvery fallfish and knew the top prize, a trout or two battling my line and limber Ebisu tenkara rod, could very well be present. I was not disappointed. My little Hare’s Ear paused during its second swing, snatched aggressively near the second batch of roots. Stiff resistance and a bent rod replaced the meditative mending of line. A sizable trout directed my attention upstream, where the water broke in a half jump, and then another. At last, I thought, my net might see some action! The lanyard sounded as I successfully gripped the handle and brought down the net toward the fish. Another, heretofore unheard tone, also now resonated. The rod tip began to scrape against the low tree canopy overhead. The length of the long rod touched limb, forcing me even lower as I bent backwards, leading the fish toward the mesh of the net. The sight of me so engaged must have resembled a circus contortionist. 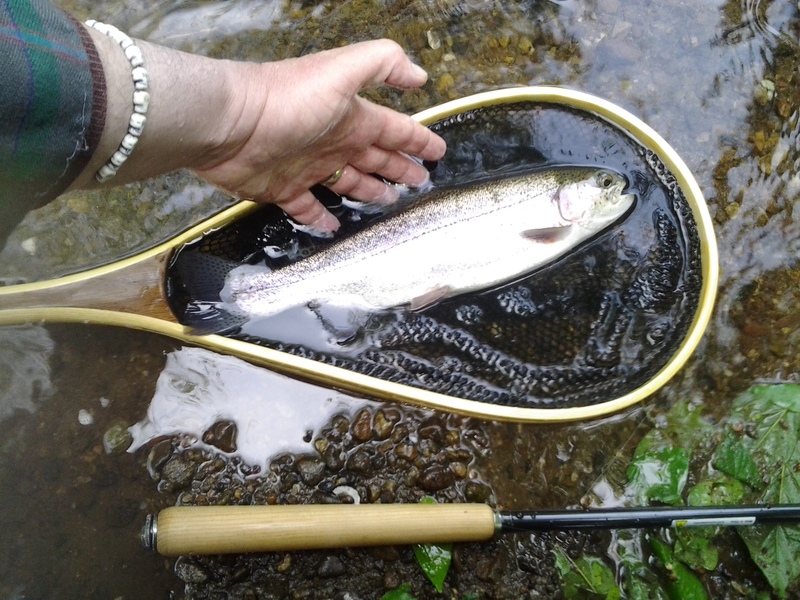 The big rainbow eventually allowed itself to be landed, and photographed, and gently released, thanks to the net. The utility of this piece of gear had again, in a very timely manner, made itself clear.